You’ve fallen in love with Palm Springs; the art, architecture, and the exquisite homes. But how best can you explore all the architectural beauty, the colourful doors, bold breeze blocks and stunning public buildings? Coming soon, you can enjoy Modern Tours of Palm Springs in a comfortable vehicle, with a small group at the hands of a knowledgeable guide. Our Door Tour shows you some of Palm Springs’ most gorgeous and photogenic homes, using their often colourful front doors as a jumping off point. You can take a tour just like this all on your own with our handy e-book and map guide. Go at your own pace; take a carload of family or borrow a bike and join some friends. This is the ultimate door tour because you can customize it for yourself, and the time you have available. Are you just hoping to get a taste of midcentury modern architecture and learn about modernism? Perhaps you’d like to check out some of the famous public buildings, celebrity homes in Palm Springs and best homes to see in Palm Springs? 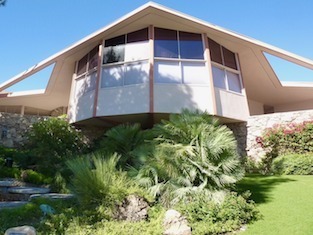 Our exteriors only tour is a simple, 90-minute driving tour that will give you a layman’s overview of Palm Springs’s desert modern architecture and some of it’s most famous buildings as well as hidden gems. Wondering how the Rat Pack and today’s Hollywood celebrities live, or what it’s really like living in an architectural time capsule? Our interior tour of homes in Palm Springs will take you inside local homes so you can get a sense, not just of the curb appeal, but of what living the midcentury modern life is really like. This tour also includes exteriors of prominent homes. Want to take some time for selfies in front of the most famous and most photographed addresses in Palm Springs? Maybe you’d rather have a sweet snap in front of a lesser known building to wow your friends back home. Our photography tour will make stops at several iconic locations including the most photographed houses in Palm Springs so you can add these pictures to your collection — and learn a little something on the way. 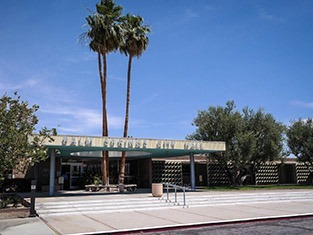 Our tours are designed for newbies, design buffs, and those who’ve fallen in love with Palm Springs and want to learn a bit more about the city, its architecture, history, and celebrity past. We are passionate about Palm Springs and can’t wait to share our knowledge with you and your family and friends. This masterpiece of architecture was designed to connect residents and visitors to the beautiful surrounding desert, letting the outside in and vice versa. Designed by the famed architect E. Stewart Williams, the Frank Sinatra Twin Palms Estate was built for Frank Sinatra and his first wife, Nancy. 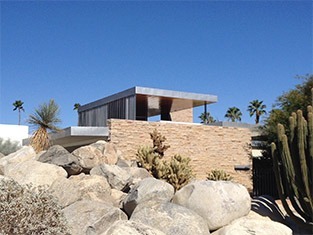 Meet the handful of key architects that set the bar for modern architecture and created the aesthetic of Palm Springs. 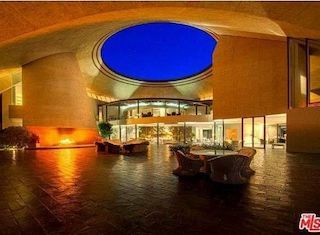 Using famous architect John Lautner’s California Modernist style combined with the powerful natural shape of a volcano, the building’s vast copper roof slopes upward from three points to meet at a crater-like circular skylight opening over the home’s spacious interior terrace. 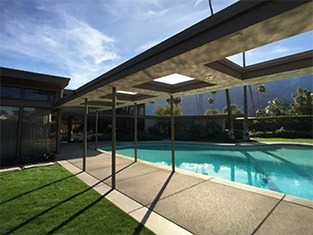 The Palm Springs estate caught the attention of the media almost immediately after it was completed. The house premiered as a centerfold in Look magazine in 1962, where it earned the name The House of Tomorrow. Built in 1930 in the Movie Colony neighbourhood by John Byers the estate was said to be built as an exact replica of a 19th-century southern Spanish farmhouse. 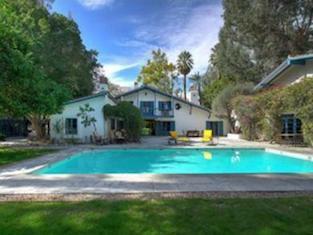 Grant bought the home in 1954. Click to inquire or to create a spot on our waiting list ahead of our launch later in 2019!